These items are up for grabs. Please email Courtney if interested. There are a limited number of the items below. Names will be put in for a drawing. Please make sure you have room and a purpose for this item before submitting your name :). A small selection of book carts are available. Let Courtney know if you are interested and she will share pictures soon. The Curriculum, Instruction, and Assessment Department at TAC is now called the Curriculum and Instruction Support Department. All Elementary and Secondary schools, admins, and teaching staff are under this department--including Library Services. With the name change, the website links to all of the departments under CIS also changed. Our friends in IMS were able to reroute our shortcut - district.ops.org/library - to our "new" webpage. However, you may still have trouble accessing the page. If you do, you may need to clear your cache on your computer as an old version of the shortcut is still running. With the browser open, click CTRL+F5 on the keyboard to clear your cache. 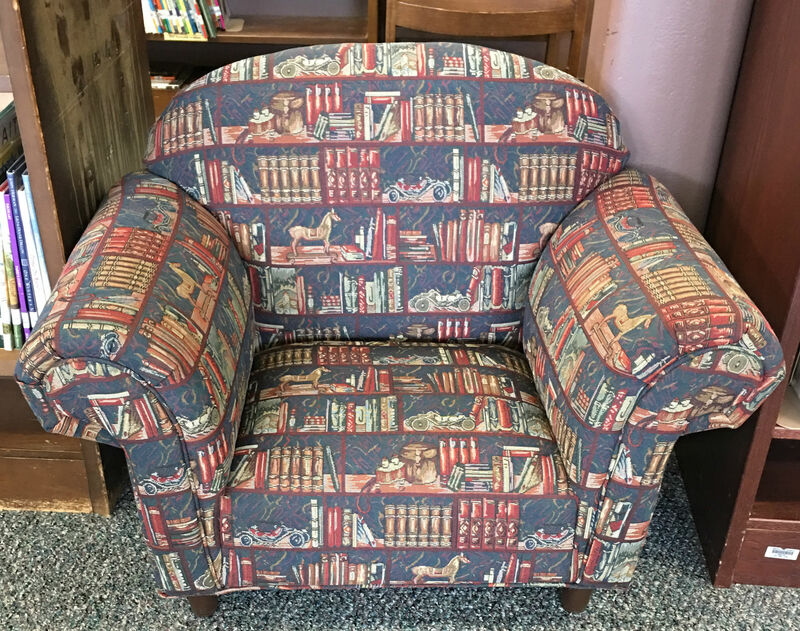 Special thanks to Becky Nicholson at Columbian Elementary for sharing! Just in case others may find this to be useful, I have written a step-by-step process to create labels with student login information, using the Student Account Excel spreadsheet provided by Field Support Techs. 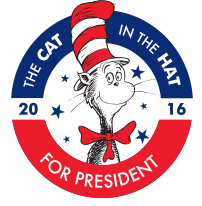 The Cat in the Hat has thrown his iconic red and white hat into the ring for president. Now he wants children to help him decide which cause to support—education, ocean conservation, environment, hunger, kindness. Children across the nation are encouraged to vote for The Cat to work with fellow Dr. Seuss characters and the organization and cause that they represent. The characters, organization, and cause with the most votes will receive $10,000 from Dr. Seuss Enterprises and Random House Children’s Books. At The Cat in the Hat’s “campaign headquarters,” students can check out The Cat’s campaign video, learn more about the causes, and then vote for their favorite. Deadline: All votes must be cast by 11:59 p.m. on November 8, 2016. The winning organization and cause will be announced on or around December 1, 2016. Plus: In the simple rhyming book One Vote, Two Votes, I Vote, You Vote, The Cat in the Hat introduces early readers to the basic principles of democracy, including how political parties are formed and why Election Day is held in early November. We haven't had a chance to test drive this just yet, so if you use it, let us know what you think! EDpuzzle is a web-based interactive video and formative assessment tool that gives teachers a set of tools to crop an existing online video to the moments needed for a specific teaching purpose. Teachers can also customize the cropped video with voice-overs, audio comments, and embedded assessment questions. Teachers can prohibit students from fast-forwarding through videos and assign each video a due date. Data from the embedded quizzes is saved in EDpuzzle’s dashboard; however, it can easily be exported as a CSV file and incorporated into other grade- and course-management systems. Additionally, EDpuzzle offers a space for a community of teachers to share their creations for inspiration or for easy classroom use. Finally, teachers can turn this robust set of tools over to students, enabling them to find high-quality video instruction and customize it in a way that demonstrates their learning. How can we chunk what we learned about inquiry at curriculum day and use it to create buy-in with staff? I have a poster that states: I wonder...I imagine...I question. INQUIRYI examine, I understand, I know! I will be using my poster to write I can and I will statements for mini lessons of wonder. Hold up and "I Wonder" book...most of us have them, open to any page, read. Remember what it was like to be a wide-eyed curious child bursting with questions?